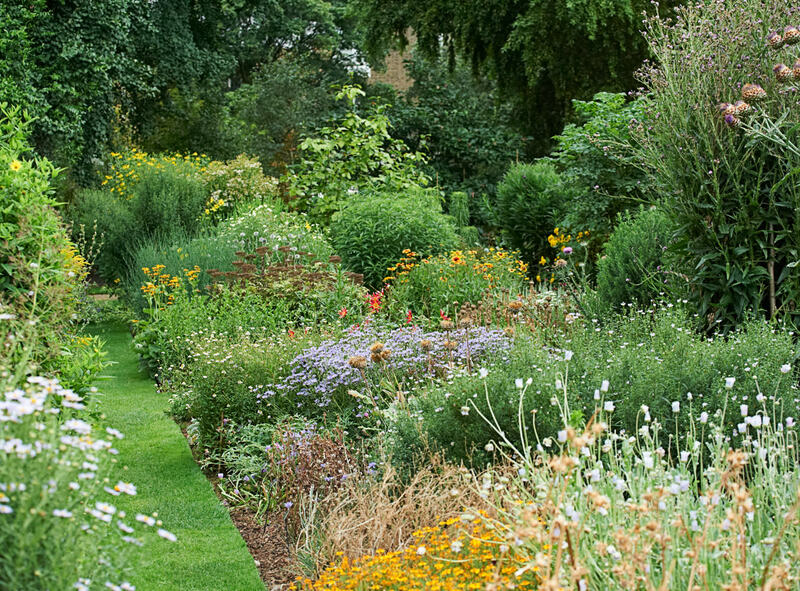 Founded in 1673, Chelsea Physic Garden is nearly 90 years older than Kew. 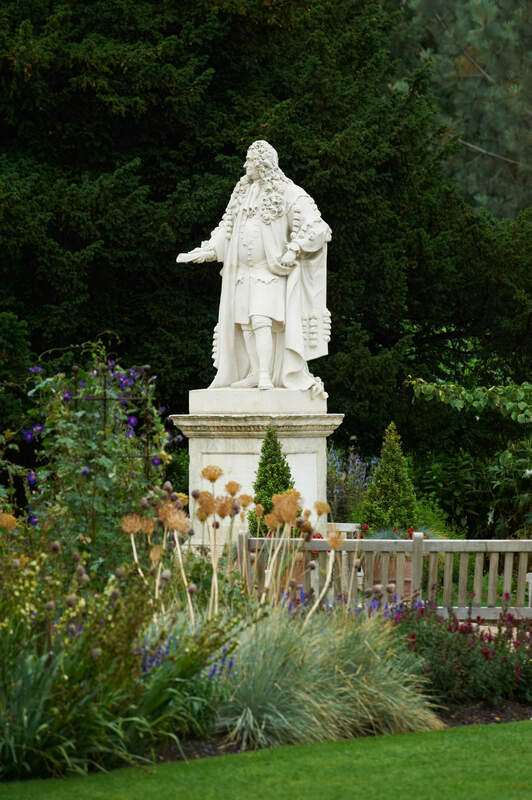 A statue of Sir Hans Sloane greets garden guests. Divided into six sections, the garden includes medicinal beds, edible beds, and a woodland garden. 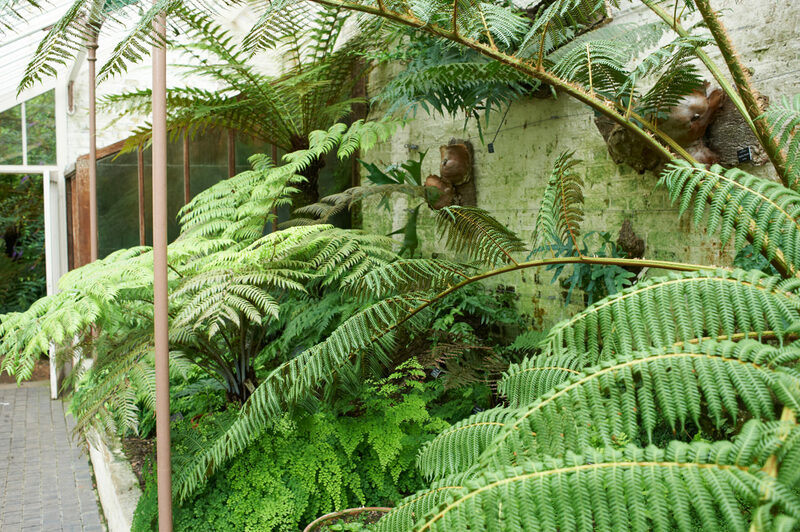 The lean-to glass houses of the fernery pay tribute to Victorian pteridologists. Garden fans who want to recharge while visiting London can take the tube to Sloane Square, drift onto Lower Sloane Street, then Royal Hospital Road, cross Tite Street, and turn left into Swan Walk. The voyage will take you through the gates of a garden that, founded in 1673, is nearly 90 years older than Kew. 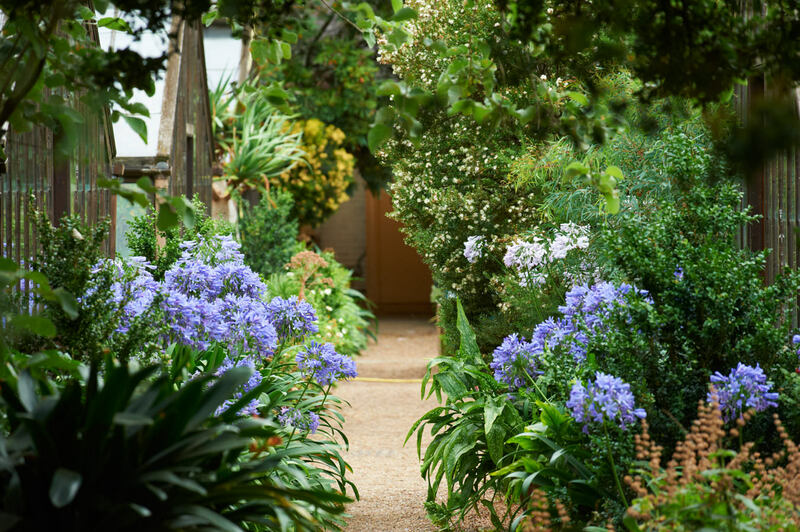 The Chelsea Physic Garden—originally established as the Apothecaries’ Garden—remains true to its healing roots, containing approximately 5,000 plants of every hue in its walled microclimate embrace. Some, like the Rosa odorata ‘Bengal Crimson’—which blooms every day of the year (since the temperature rarely falls below –2ºC)—are there for beauty. Others, like sunflowers, are botanical multi-taskers, gorgeous yet also prized for taking radioactive strontium out of the soil. The garden is an oasis of the unexpected in the heart of a city whose traffic noise forms a subtle backdrop while planes gear down overhead on final approach to Heathrow. Plump grapefruits grow in a sheltered corner of the garden year-round, while lean-to glass houses on the northern border of the garden offer shade during the summer months, paying tribute to Victorian pteridologists (those who study ferns), who were crazy for the textures and shades of green of these plants. Today, the English garden fan favours Galanthus (snowdrop). Avid galanthophiles tour the country in search of these delicate white icons of spring, visiting the garden in late January and early February to admire the patterns of over 120 snowdrop cultivars. 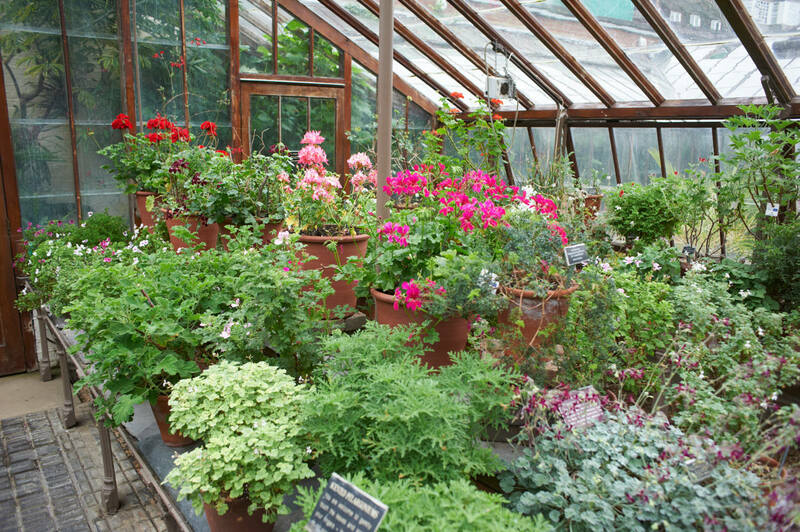 London’s Chelsea Physic Garden contains approximately 5,000 plants of every hue in its walled microclimate embrace. Sir Hans Sloane, who treated London citizens with quinine for ague (malaria), was responsible for setting up a covenant so that the garden’s rent is fixed in perpetuity at £5 ($8 Canadian) a year. The Chelsea Physic Garden has been home to many other luminaries, including head gardener Philip Miller, who presided for almost 50 years, producing eight editions of his plant dictionary during his lifetime and growing cotton here, sending its seeds to the Americans, who started an industry with it. Divided into six sections, the garden includes medicinal beds, edible beds, and a woodland garden. Enthusiastic volunteer guides will point out trees such as the gorgeous Ginkgo biloba, a fossil tree dating back to dinosaur days, whose properties have been linked to blood thinning and circulation improvement. The medicinal herb beds contain a whole section of plants used for pain relief, while in the neurological “room”, broad beans are grown for treating Parkinson’s disease. Still, frivolity is not absent from the garden, mixed, as always, with vital science. This year, displays, exhibitions, and events will convey the 2017 theme of Weaves and Leaves: Fabrics and the Plants That Make Them. These will complement such constants as the heady blossom fragrances emanating from the Perfumery Amphitheatre, and the lighthearted buzz of the garden’s busy bees. Chelsea Physic Garden, 66 Royal Hospital Rd, Chelsea, London SW3 4HS.